Freezing air and falling snow won’t keep you stuck inside. Whether commuting year round or riding powdery backwoods singletrack, the Timberwolf™ is the helmet for your coldest rides. 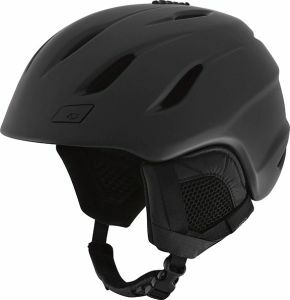 The Timberwolf leverages Giro’s industry-leading snow helmet design to keep you warm and comfortable in spite of winter’s chill. This light, low-profile helmet is loaded with features, including Stack Vent™ technology to help reduce goggle fogging, an In Form fit system (for easy adjustment with gloved hands), plus on-the- fly adjustable Thermostat Control™ ventilation. And with a brushed fleece liner and removable ear pads, you’ll be comfortably covered for any winter adventure.